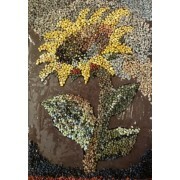 This category shows a selection of our products which are useful for the Hobbies, Arts and Crafts. Use syringes to measure small quantities accurately. 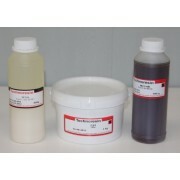 DR51 - DH96 Doming System Standard doming resin for labels and badges. Flexible and 2 hour set time. 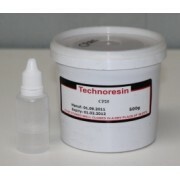 Available in kit form (DR51 : 5 kg and 1 kg and DH96: 2,5kg and 500 g) as well as in cartridges of 50 ml and 200 ml. Manual applicators for the cartridges are available. Easy 2 : 1 ratio. Ca..
C14 Fast Cast - F33 Filler Packing: 500g MC14 A Resin + 500g MC14B Hardener + 1 kg F33 Orders can be placed over the phone or by email. Delivery will be done within 24 or 48 hours to Gauteng via a courier. 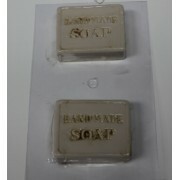 A fixed price is charged for a standard 4 kg package. 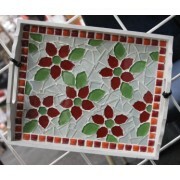 Ideal to make decorative pieces.. Selection of Vacuum forming moulds for many applications Chocolate Moulds Candle Moulds Wax Moulds We can design and manufacture moulds to customers requirements ..
Pipettes Pipettes are useful to measure small amounts of MEKP catalyst for CP25 resin (0,8 to 1%) or the red catalyst for RTV25 (3 to 5 %). Syringes are also very handy to measure small amounts of resins, hardeners or catalysts. ..